Every year, Ashton will introduce one size of Ashton ESG for the next five years. In its debut year, a 6.75 x 49 size was introduced. In the second year a 5.25 x 52 has been added along with the continued limited production of the first year. And so it will continue for three more years until 2010. From then on, all five sizes will be produced annually and made available to celebrate the 25th Anniversary of Ashton. 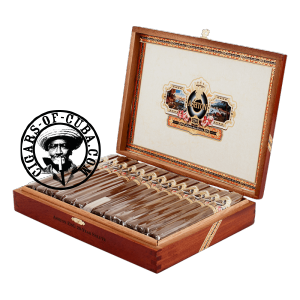 The rare tobaccosused in this spectacular cigar dictate that only extremely limited quantities can be produced.